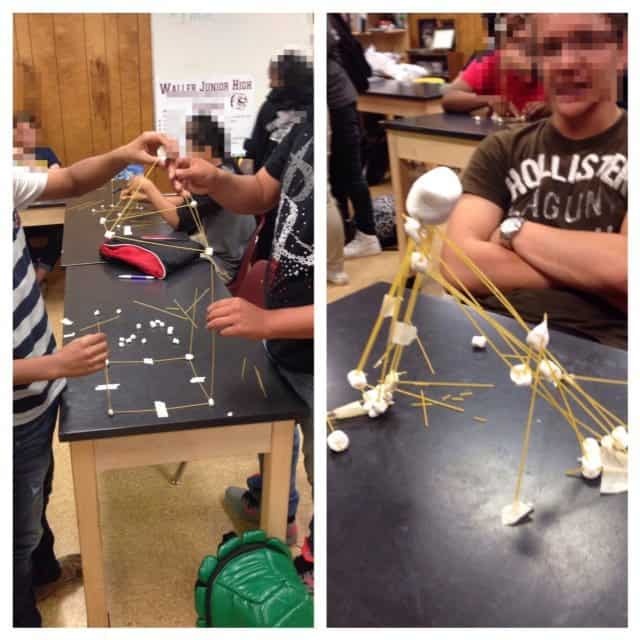 Last week my class participated in a spaghetti and marshmallows tower building lab. I purchased that lab from TpT, but only used it as a guideline. I changed around the parameters quite a bit. The objective of the lab is simple. Each group needs to construct a tower that will support one large marshmallow at the top. 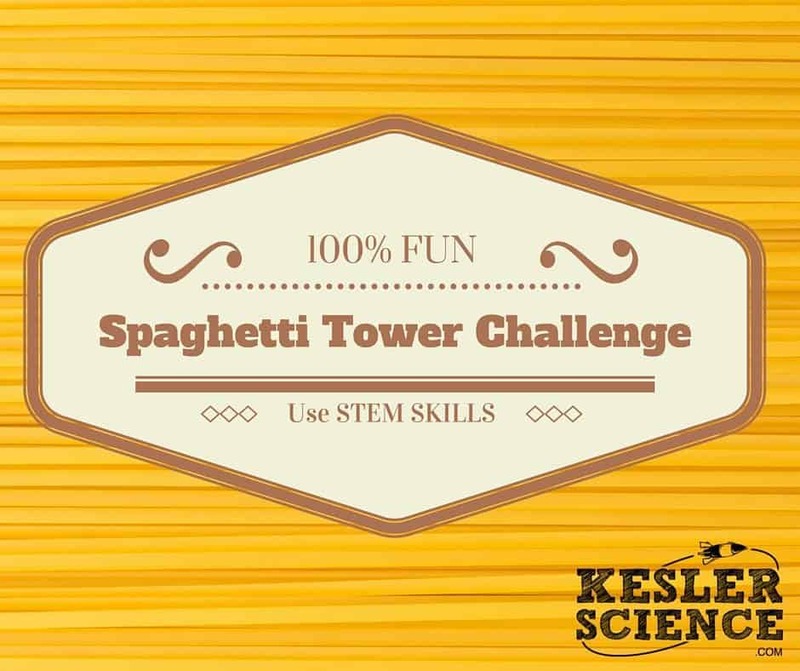 The group that builds the highest free-standing tower wins the competition. 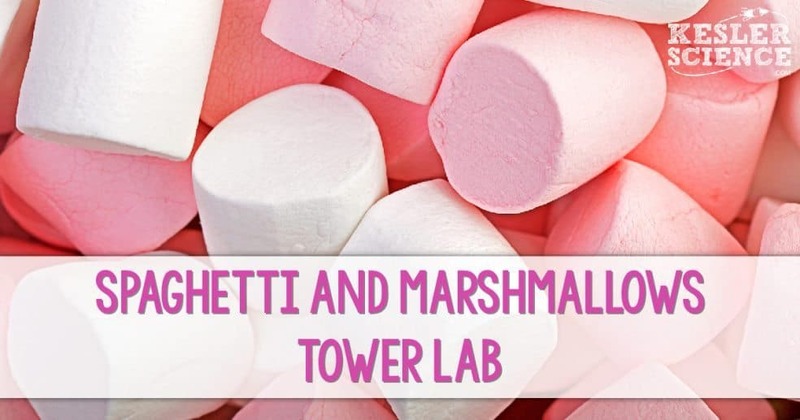 The spaghetti, small marshmallows, and tape can be broken or torn to accommodate the tower. The large marshmallow cannot be modified. 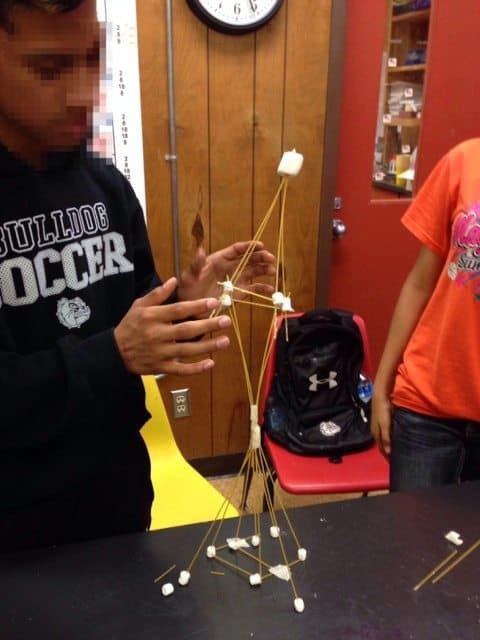 The measurement will be taken from the base of the tower to the top of the large marshmallow. 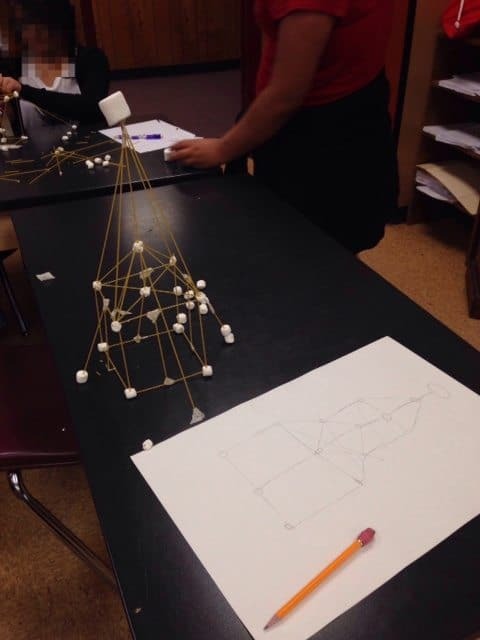 The large marshmallow can be anywhere in the structure but I will only measure to the top of it. Students will have to use a 5 minute planning period to sketch a blueprint of their design. Students will have 25 minutes to build their tower. 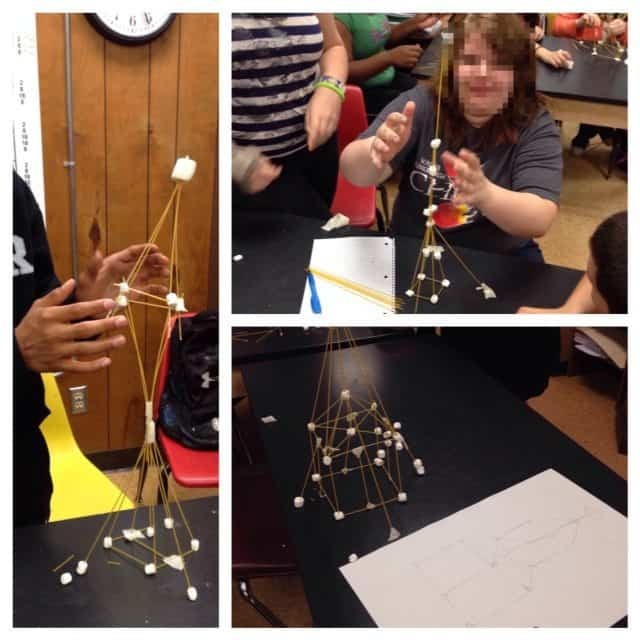 The students really enjoyed this lab and were engaged throughout the entire activity. The tallest tower that I measured was 60 cm. My second place tower was 55 cm. The winning tower is below. The one thing that I found very interesting in this lab was that my on-level classes were outperforming my honors level classes. Their towers were more structurally sound than those that came from my honors classes. The towers that had the best chance of competing for the tallest tower came from groups that did a bit of planning before getting started. This is pretty obvious, but I would make sure to include a planning period into the activity. It would help to explain that engineers don’t just start building but rather they use a set of blueprints that have been tested with software. The tower below has a great blueprint that went with it. She built this directly from her drawing which was fun to watch. This was a great activity and would be fun to repeat later on in the year. I have a feeling that students would take a much more calculated approach if they had a chance to build a second tower.